Here I am looking at my self. 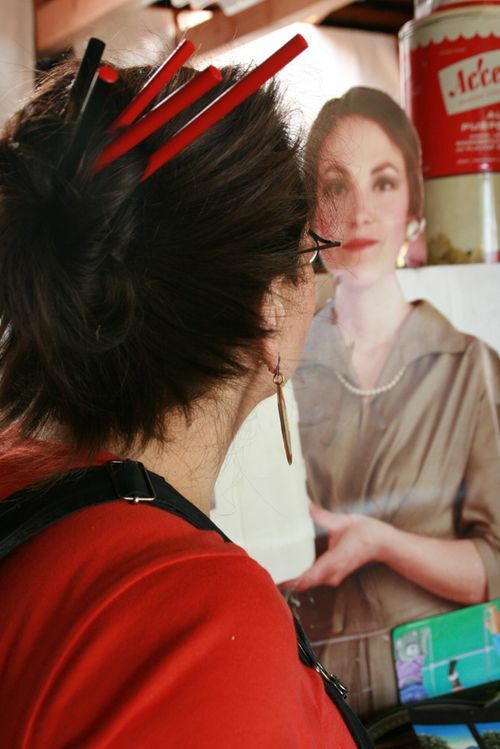 Actually, this is a lifesize photo of myself from 1984 as the appliance lady. This photo has been used a number of times in different exhibitions.